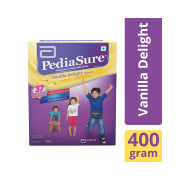 PediaSure Refill Pack contains blend of 37 vital nutrients Pre & Probiotics, Zinc, Selenium, Copper, Vitamin A, C & E, Linoleic Acid, Alpha Linolenic Acid, Vitamin B12, Folic Acid, Iron, Iodine, Choline and Taurine as a combination of ingredients. 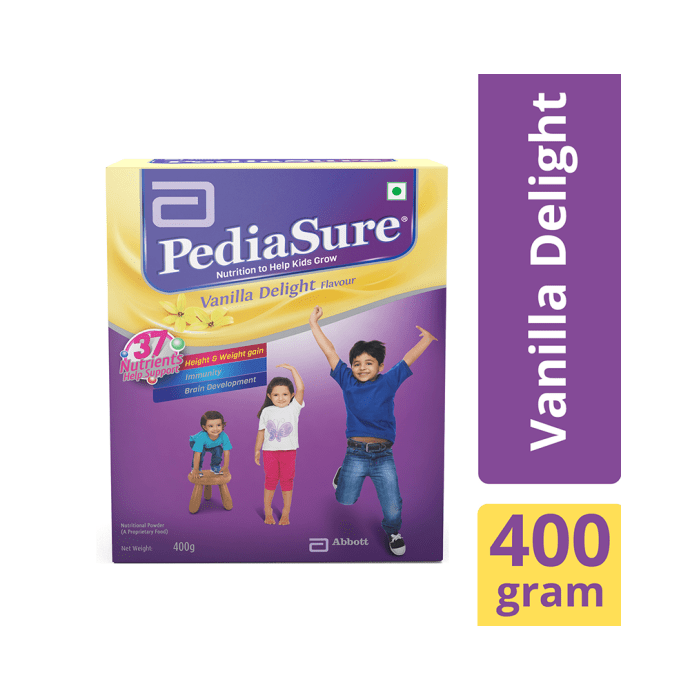 A licensed pharmacy from your nearest location will deliver PediaSure Refill Pack Vanilla delight. Once the pharmacy accepts your order, the details of the pharmacy will be shared with you. Acceptance of your order is based on the validity of your prescription and the availability of this medicine.